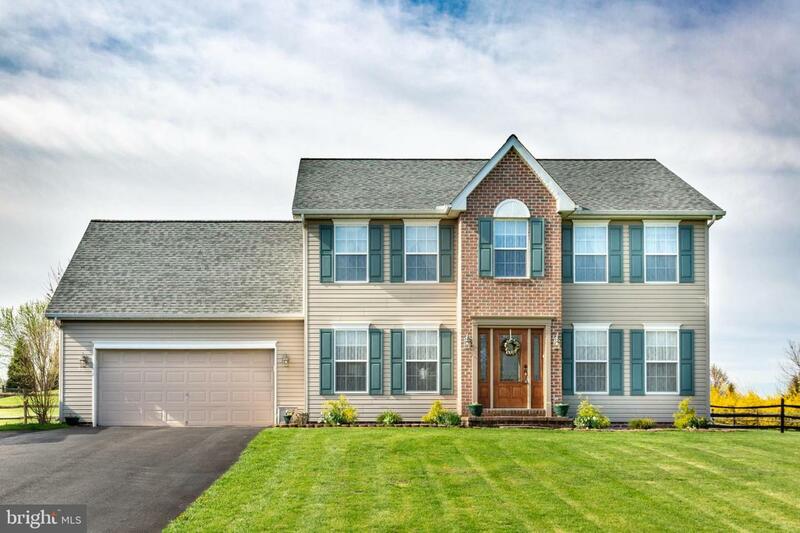 Well cared for 4 BR, 4 BA Colonial in a quiet well established neighborhood. Buyer Agents Welcome and Encouraged. Great for MD commuters, close to state line. Settled on over an acre and a half of open land with a fenced backyard. Spacious master suite w/large master bath and soaking tub. Open deck and patio to enjoy outdoor entertaining. Finished basement with half bath completed in 2018. New Architectural roof with 50 year warranty installed 2017. Main floor half bath updated 2017. All new carpet and padding, paint and 3 car parking pad completed in 2014. New solid surface kitchen counter tops and sink installed in 2019.